Jane Dixon (b.1963, Lancashire, UK) lives and works in London. Dixon received an MA in Printmaking from the Royal College of Art in 1988. Her practice explores the conceptual alignment between subject and method. The rubbed drawings of her recent series are a continuation of her interest in the relationship between the real and the artificial or invented. Her awards include Rome Scholarship in Printmaking, British School at Rome (1989-90), Kettle’s Yard Artist Fellowship, University of Cambridge (2000-2001). Solo shows include: Parallel Objects, Kettle’s Yard, 2000 and Under False Colours, Tokyo Gallery and Yokohama Portside Gallery, Japan, 2004 and Regeneration Drawings, Tokyo Gallery +BTAP, Japan, 2008. 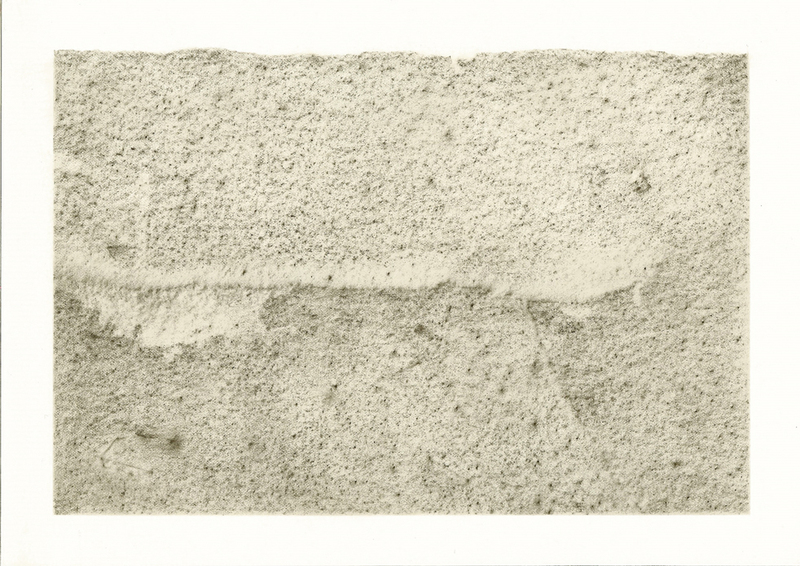 Recent group exhibitions and projects include: Drawing Now Paris 2013, The Jerwood Drawing Prize 2012 (Judges Special Commendation), The Curator’s Egg, Anthony Reynolds Gallery, London, 2012, Out of Rubble, Space, Pittsburgh, USA (2012 and touring, curated from book by Suzanne Slavick, CHARTA), British Drawings: Masters and Methods since 1660, V&A (curated from book by Susan Owens – V&A publishing), Drawn to the Real, Alan Cristea Gallery, London, 2014. Her work will be included in the forthcoming exhibition Apparition: Frottages and Rubbings from 1870 to Now, at the Hammer Museum, LA and Menil Collection, Houston, 2015. Her photogram work Evidence of Doubt (2011-13), will be shown at the Fitzwilliam Museum, Cambridge in 2015. Dixon’s work is held in both public and private collections including: The British Museum, The Victoria and Albert Museum, The Fitzwilliam Museum, Cambridge, Birmingham Museum and Art Gallery and Arts Council of England.